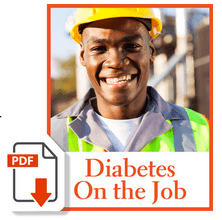 Please fill out the form below to receive your free Diabetes On the Job Guide! Yes! Sign me up to the Practical Diabetology e-Newsletter.